Be clear on the purpose of the event design and make sure this guides you throughout. This should also be clearly communicated to your target audience. Use Adult Learning Principles to design the event activities. Remember we all have a mix of visual, auditory and kinesthetic learning preferences (V = 35% A= 25% K = 40%) so you’ll need to cater for this in your event design. Have a framework for your event design – this should identify your target audience and include a brainstorm of potential activities. These need to be congruent with your learning and organizational outcomes. 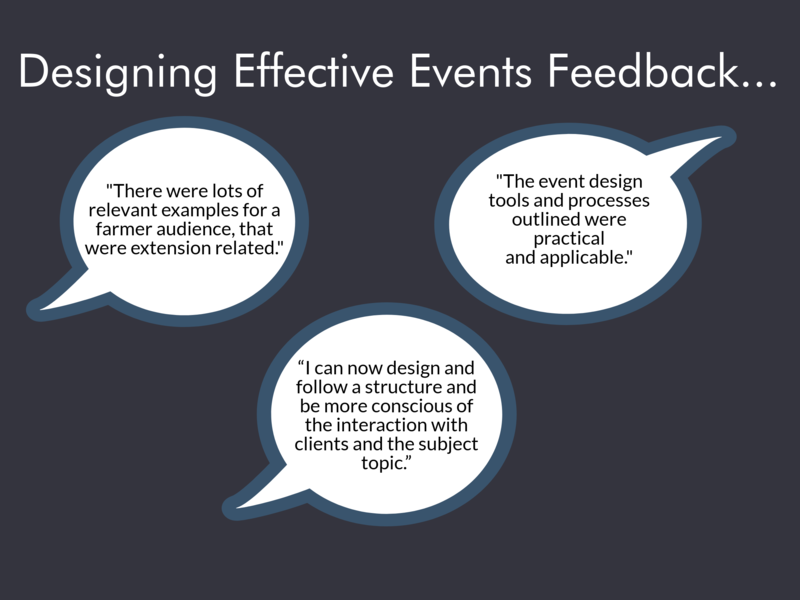 Want a practical approach to event design? Get in touch regarding your one-day in-house workshop on Designing Effective Events. Learn how to design events that have your clients motivated, excited and raving about you! Importantly this workshop will give you the tools, techniques and templates needed to design future events.